As Zimbabwe went through what looked like a military coup, news that Robert Mugabe was alright but confined at home came from his South African counterpart, President Jacob Zuma. Why the involvement? Euronews asked Ewan Lawson, senior research fellow at the RUSI think thank. “Mugabe has traditionally had strong links with the ANC (the African National Congress, South Africa’s ruling party) because of the liberation struggle,” Lawson said in a Skype interview. Mugabe has ruled Zimbabwe ever since it secured independence from Britain in 1980. It remains to be seen whether his removal could finally usher in democracy. “I think there always has to be hope. It’s horrendous to think of a country with the wealth and opportunities that Zimbabwe has – both in terms of its natural resources but also in terms of people, one of the most literate peoples in Africa. There’s so much potential there, so there has to be some kind of hope for democracy,” Lawson said. Speculation is rife that the former vice president Emmerson Mnangagwa could now come to power. 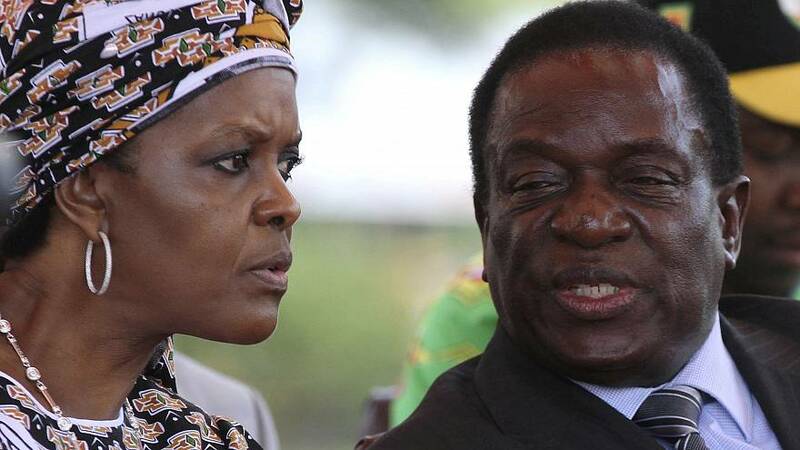 An independence war veteran and former security chief nicknamed “the Crocodile” for his ruthlessness, Mnangagwa used to be one of Mugabe’s most trusted lieutenants, having been at his side in prison, during wartime and then in government. “I’m not entirely convinced that this coup – and potentially the return of the former vice president – will necessarily lead directly to that. But equally there is a suggestion that he (Mnangagwa) is much more interested in rebuilding the economy. And that will require engagement with international donors. And with international donors potentially comes a pressure for a more democratic process than the one currently in place,” said Lawson.